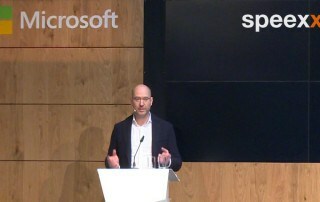 "The promise of technology is to help us get more done, with less effort," says Satya Nadella, Microsoft CEO, a belief that is also reflected in the Microsoft solutions, as well as its ScaleUp program (formerly known as Microsoft Accelerator), offering support to companies who complement and leverage the transition to cloud solutions and a digital-first world, enabling people from all layers of society to benefit from progress and advantages of a digital society. 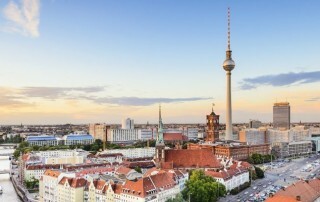 In 2015, Berlin was designated the fastest growing hub in the world for new companies, with companies like SoundCloud and Foodpanda expanding into the global market with seemingly lightning speed. As we prepare to head to the German capital for our upcoming Speexx conference on December 6, let’s take a look at some of the reasons why Berlin is an exciting place to be today. 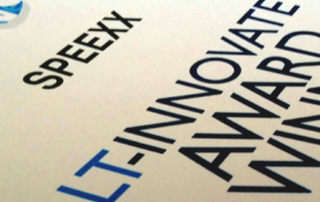 We've just won the LT-Innovate Award, Europe's award for innovation in language learning technology. The ceremony took place last Thursday in Brussels as part of the 2-day LT-Innovate Summit. This event brings together industry experts, investors and language training providers from all over Europe.